If you're in NYC today or tomorrow, head over to Greeley Square Park to take part in one of the coolest pop ups I have heard of by Carnival Cruise Line (and for a chance to win a free cruise)! If you aren't in NYC, there is also a chance for you to win, read below for more details. Carnival Cruise Line is giving consumers a “whiff” of their next vacation in a unique and unconventional way, with a one-of-a-kind “scent-sory” experience featuring an immersive heated tropical tent, a steel drum band and a groundbreaking vending machine dispensing air canned directly from the Caribbean. The “scent-sational” event also provides consumers with a preview of Carnival’s newest ship, Carnival Horizon, while offering a chance to win a cruise on the 133,500-ton ship which makes its U.S. debut in New York in May 2018. 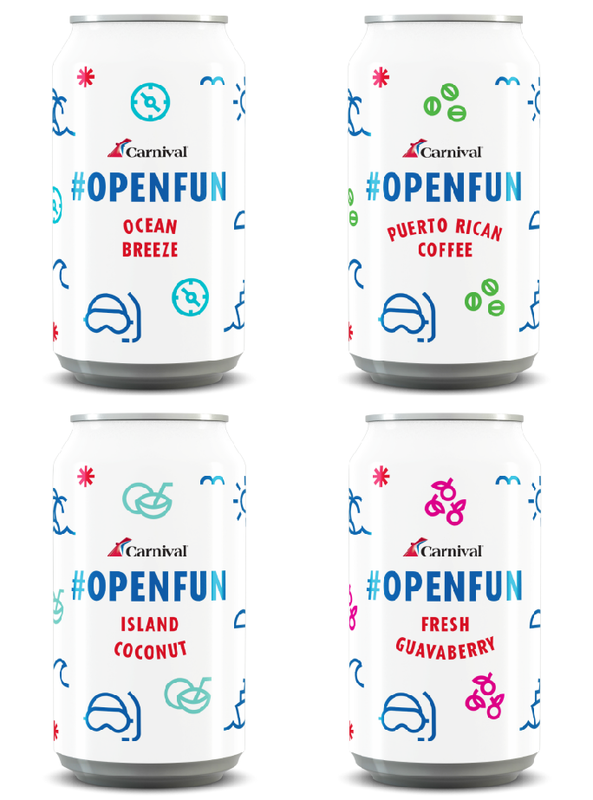 The cans feature scents of Carnival Horizon’s Caribbean destinations, including Wild Banana Orchid from Grand Cayman, Puerto Rican Coffee from San Juan, Fresh Guavaberry from St. Maarten, Sugarcane Rum from St. Kitts, Island Coconut from Cozumel and Ocean Breeze from the sea. Carnival designed this activation following a recent survey, conducted by the cruise line, that found that 95% of Americans agree that scent can trigger vacation memories and 56% agree that a particular scent has motivated them to plan a vacation. In conjunction with the New York City promotion, Carnival is hosting a national sweepstakes on their social channels (Twitter, Instagram and Facebook) from Dec. 12-16, asking people to share what scent inspires them to vacation using the hashtag #OpenFun for a chance to win a cruise. Visit www.carnival.com/awaywego for more information.